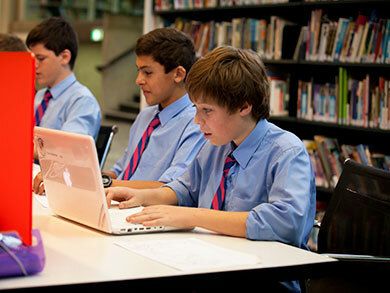 The Brother Liguori Resources Centre is integral to teaching and learning at Joeys. It is a welcoming, vibrant learning environment designed to encourage and enrich students by developing lifelong learning skills and a love of reading. The Resources Centre aims to empower and transform learners by providing activities and resources that will assist both students and staff to become effective and discriminating users of information. 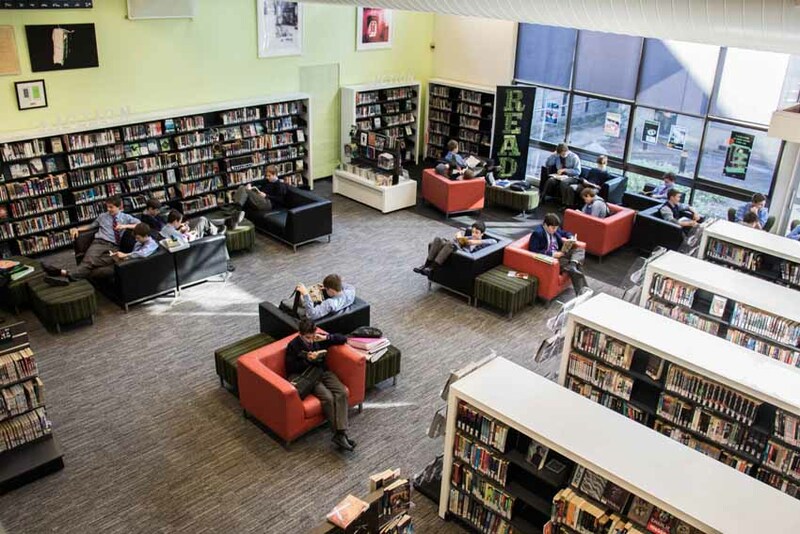 AIM 1: We aim to support student learning by working collaboratively with subject faculties, teaching information and research skills to the students, and assisting them to explore our extensive collection of print and digital resources. Easy access to high quality resources is available anytime, anywhere with our online catalogue and research tool, Destiny. Further learning help is available from our library website, LibraryHQ, which provides subject-specific resources tailored to class topics and assessments. Write a Book in a Day (national team writing competition). Books and Blokes Breakfast – These popular breakfast events feature male guest authors from all walks of life, who talk about the importance of books and reading in their own lives, this reinforcing the message that ‘It’s OK for blokes to read’. Invitation is open to all students and the important men in their lives – fathers, grandfathers, uncles, carers. Past speakers include Tom Keneally, Dr Munjed al Muderis, David Pocock, Dr Karl Kruszelnicki, Glenn McGrath, Richard Glover and Michael Robotham. 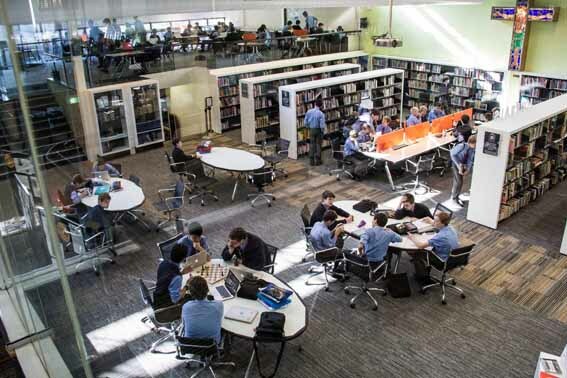 Guys Read book group – boys from Year 7 to 12 meet regularly to discuss books and listen to guest speakers. We enjoy the company of between 30 to 50 boys at each meeting. The HUB, our specialist group of keen readers who write book reviews with the motto Recommended by Joeys boys for Joeys boys. Readers Cup – Three boys x four books x five weeks = Readers Cup Challenge! Teams of three boys battle other teams after reading four set texts to be crowned Readers Cup Champions. Annual group excursions to the Sydney Writers Festival and the Youth Review Forum.